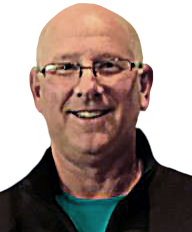 Jack Jones Sports Handicapper has long been a private consultant who has provided his selections to some of the bigger players in the handicapping industry. He has enjoyed a tremendous amount of success and decided to take his selections public in 2010. Now you can take advantage of one of the most prestigious handicappers on the planet right here on this network. Register an Account Now for Free Picks and Exclusive Offers From Jack Jones – Sports Handicapper! No. 1 Ranked NBA Capper All-Time! Jack Jones is riding a 1,043-837 Run L593 Days that has seen his $1,000/game players cash in $132,000! Sign up for Jack's 2019 NBA Playoffs Pass for $349.95! If you want Jack's biggest release Thursday, then sign up here for his 20* Nuggets/Spurs TNT No-Brainer for just $39.95! He has the winning side in this Game 6 NAILED tonight behind SWEET 24-5 & 13-2 Systems in his analysis! GUARANTEED or the next day of NBA is ON JACK! The Cleveland Indians have gotten several key pieces in their lineup back and healthy now. They are going to get back to being one of the best teams in the league moving forward with nearly a fully lineup to go with one of the best rotations in baseball. Carolos Carraso had one bad start that is inflating his numbers when he allowed 6 runs in 2/3 of an inning to the Royals. But he bounced back by pitching 7 shutout innings with 12 K’s in a 1-0 win over Seattle last time out. Carrasco pitched 7 1/3 shutout innings with 11 K’s in his lone career start against Miami. The Marlins are one of the worst teams in baseball at 6-16 this season, including 1-5 on the road. Pablo Lopez has been battered, going 1-3 with a 5.85 ERA and 1.350 WHIP in four starts, including 0-2 with a 7.45 ERA and 1.655 WHIP in two road starts. The Marlins are 1-9 in Lopez’s last 10 starts. Miami is 13-38 in its lsat 51 road games. The Indians are 24-7 in Carrasco’s last 31 starts during Game 1 of a series. Cleveland is 5-1 in Carrasco’s last six interleague starts. Roll with the Indians on the Run Line Tuesday. Chris Sale is 0-4 this season and just hasn’t been himself. I have to think now that we are nearly a month into the season, a starter of his caliber will get it figured out sooner rather than later. It helps that he’s up against the light-hitting Tigers, who are batting .218 and scoring 3.0 runs per game this season, including .183 and 2.1 on the road. Sale is 9-8 with a 2.99 ERA and 1.119 WHIP in 22 career starts against Detroit. Meanwhile, Matt Boyd is 1-2 with a 5.71 ERA and 1.558 WHIP in four career starts against Boston. The Red Sox just swept the Rays on the road and are finally getting their bats going. Teams won’t be able to hold this potent lineup down for long. Boston is 63-14 as a favorite of -200 or more over the last three seasons, winning by 2.3 runs per game in this spot. The Tigers are 17-40 in their last 57 road games. Detroit is 28-60 in its last 88 games following a win. The Tigers are 6-17 in Boyd’s last 23 road starts, including 2-11 in Boyd’s last 13 road starts vs. a team with a losing record. Boston is 17-4 in its last 21 home games vs. a left-handed starter. Bet the Red Sox in Game 1 Tuesday. No. 2 Ranked Overall Capper All-Time! Jack Jones had another huge year last year as he was the No. 3 Ranked Overall Capper in 2018! He has absolutely CRUSHED the books over the past 20 months! He is riding a 1,041-835 Run L592 Days on all premium plays that has seen his $1,000/game players cash in $132,110! No. 1 Ranked NBA Capper All-Time! Jack Jones has put together a 1,659-1,424 NBA Run long-term that has seen his $1,000/game players cash in $131,070! He is a 4-Time Top 10 NBA Capper (#1 2012-13, #3 2017-18, #9 2008-09, #10 2015-16) as well! Jack has THREE Top 10 MLB Finishes to his credit! He is off to a 17-12 MLB Start in 2019 that has only added to his 146-110 MLB Run since last season! This money train stays right on track with Jack's Tuesday 4-Play Power Pack for $59.95! Leading the charge are a pair of NBA Playoffs winners in his 20* Thunder/Blazers TNT Late-Night BAILOUT and this 15* NBA Total DOMINATOR! You'll also receive two 15* MLB plays upon purchase today! Sign up and bet with confidence knowing you are GUARANTEED PROFITS or Wednesday's entire card is ON JACK! Oddsmakers continue to set the bar too low here for this contest between the Spurs and Nuggets tonight. This has quickly become an OVER series as both defenses are struggling to stop the opposition. Indeed, the OVER is 3-0 in the last three games in this series with combined scores of 219 points in Game 2, 226 points in Game 3 and 220 points in Game 4. Now the total is set at only 210.5 points in a game that should be pushing 220 easily. The Spurs are 9-1 OVER in road games when revenging a loss as a favorite this season. Take the OVER in this game Tuesday. The Portland Trail Blazers are already talking like they’ve won this series. They have been reflecting back on getting swept the last few years and how much criticism they’ve taken in the media that have fueled them. These are things you’re supposed to be talking about after the series is over, not before. You can bet the Thunder have heard all the interviews and now will be the team playing with a chip on their shoulder. Russell Westbrook certainly needs quit taking contested jumpers, and he should be wise enough to make the proper adjustments in Game 4. Look for him to be in attack mode and looking to get to the rim every chance he gets, which is when he’s at his best. Keep in mind the Thunder swept the Blazers in the regular season, going 4-0 SU & 4-0 ATS. So they know they aren’t out of this yet. Win Game 4 and get this series back to OKC, and it’s a whole new series. I still believe they are the better team, and with their backs against the wall tonight, I expect their best effort of the season to try and stave off elimination. The Thunder have shot worse than 41% from the field in all three of losses in this series. They are a much better shooting team than that, and the Blazers aren’t as good as they’ve shown defensively. It’s a Blazers team that gives up 110.1 points per game and 45.5% shooting on the season, and a lot of that was with their best defender in Jusuf Nurkic. Bet the Thunder Tuesday. For starters, the wind is expected to be blowing out to left-center at 10 miles per hour tonight in Cincinnati. The Great American Ball Park is already hitter-friendly, and now the conditions will be even more conducive to a high-scoring affair. Both Kevin Gausman and Sonny Gray are going to take a hit to their solid ERA’s this season. Gausman gave up 8 earned runs in 2 2/3 innings in his lone career start at Cincinnati. Gray has never beaten the Braves in two career starts against them. Gray is 11-1 OVER in home games vs. good power teams that average 1.25 or more HR’s/game over the last three seasons. The OVER is 17-5-1 in Braves last 23 games following an off day. The OVER is 5-1 in the last six meetings in Cincinnati. Bet the OVER in this game Tuesday. After losing the first two games of this series to the Diamondbacks, the Pirates should be highly motivated for a victory at home here in Game 3 Wednesday. They have a big edge on the mound and we are getting them at a nice value here because of it. Jordan Lyles has been lights out to open the season for Pittsburgh. He is 2-0 with a 0.53 ERA and 0.882 WHIP in three starts, allowing just one earned runs in 17 innings pitched with 18 K’s. Merrill Kelly is 1-2 with a 4.37 ERA and 1.456 WHIP in four starts for Arizona, including 1-1 with a 5.58 ERA and 2.068 WHIP in his two road starts. This is a bad Arizona rotation, and Kelly wouldn’t start for most teams in this league. Pittsburgh is 18-4 vs. teams who draw 3 or fewer walks per game over the last two seasons. The Pirates are 8-1 in their last nine when their opponent allows two runs or less in their previous game. Pittsburgh is 7-1 in its last eight after scoring two runs or less in its previous game. The Pirates are 11-4 int heir last 15 games following a loss. Take the Pirates Wednesday. The Utah Jazz showed what they were capable of against the Rockets in Game 3 and 4 in Salt Lake City. Nobody in the league can defend the Rockets better than them, and that showed as they held the Rockets to 38.4% shooting in Game 3 and 35.4% in Game 4. Now, the Jazz have the belief they can win in Houston and extend this series. The amazing part is that the Jazz still haven’t shot up to their capabilities once this series. They shot 39% in Game 1, 39.8% in Game 2, 41.6% in Game 3 and 43% in Game 4. They haven’t shot better than 31.4% from 3-point range in any game, and going 4-for-26 on open looks cost them Game 4. I think their best shooting performance of the series is still to come. It’s a Jazz team that shoots 46.5% on the season and 35.2% from 3-point range while averaging 111.1 points per game. Yes, the Rockets are a good defensive team, but they aren’t this good. Now that they have some confidence after a 16-point victory in Game 4, expect the Jazz to knock down those open shots in Game 5. Utah is 10-1 ATS in its last 11 off an upset win by 15 points or more as a home underdog. Bet the Jazz Wednesday. The Boston Red Sox lost both games of their double-header with the Detroit Tigers yesterday, losing as -205 and -175 favorites. I have to think they’ll come back highly motivated for a victory here in Game 3 Wednesday night. Eduardo Rodriquez has dominated at home as a starter for the Red Sox. In fact, he has been one of the most underrated starters in the league over the past few seasons. Rodriquez is also 2-1 with a 3.52 ERA in four career starts against Detroit. Tyson Ross has bounced around the big leagues due to poor performances. He is 0-2 with a 4.91 ERA and 1.545 WHIP in his two road starts this season, and this will be his toughest task yet up against a potent Red Sox lineup that he has never faced. Rodriquez is 21-4 vs. teams who strike out 7 or more times per game over the last two seasons. Rodriquez is 22-3 as a favorite of -150 or more over the last three seasons, including 18-2 as a home favorite of -150 or more. The Red Sox are winning by 2.5 runs per game in both situations. Roll with the Red Sox on the Run Line Wednesday.